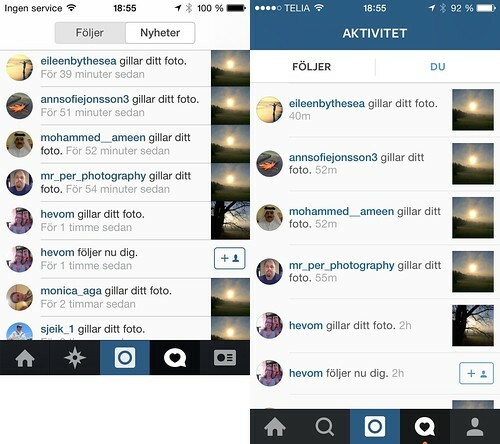 I recently blogged about the shadow ban that hit many Instagram users, especially after the hack that forced many users to verify their accounts with a code. My account @kullin was hit by the ban, which in short meant that only my followers would see my photos under the hashtags I used. No-one else could see them and I could not reach any new followers. The ban, which many still hesitate exists, affected my account for a little more than two weeks. I had not engaged in any suspicious activities on that account, so why the ban hit my account is still a mystery. I did not use any bots, nor did I use the follow/unfollow method. The only reason I can suspect is that I used some hashtags too frequently. The effect of the shadow ban was that I lost a lot of followers. I gained some, but not to the extent that is “normal” for my account. In this graph you can see exactly the result of the ban during the first two weeks of September (click on image to enlarge). Organic growth completely died when the ban struck and growth has been negative of flat ever since. Now that my photos are visible again on hashtags, I hope that engagement on my account will go back to normal. 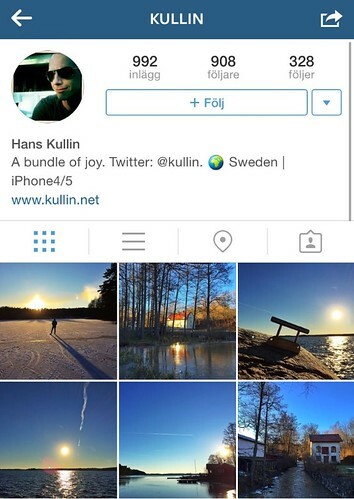 If you want to follow, I’m @kullin on Instagram. Earlier this year, Kim Kardashian posted a photo from her wedding with Kanye West. It became the most liked photo on Instagram ever with more than 2.4 million likes to date. However, it is not the Instagram post with most comments. Kardashian’s image has about 57,000 comments but last week a video was posted that currently has many times more than that. 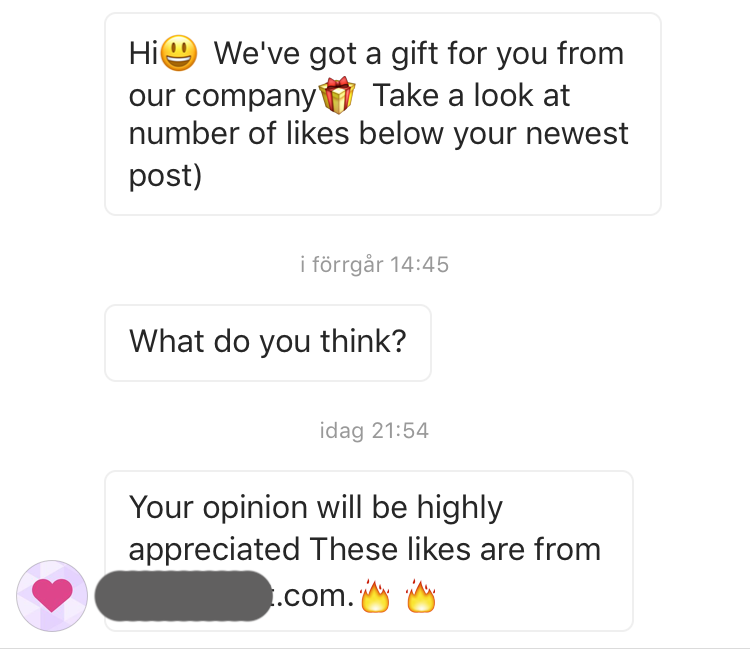 Apparently spammers are finding new ways to spam Instagram after the social network recently deleted millions of spam accounts. The video below is used to post thousands of comments that each tag about 8 user names. This is done by using hundreds of fake accounts that post these comments. 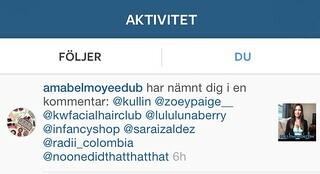 If you are tagged on Instagram you usually check out who did it and what they say. 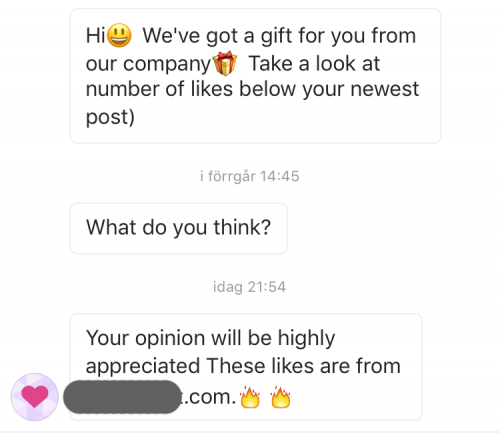 So by using this technique, spammers have now posted more than 400,000 comments and thereby tagged about 3 million user names. Some people got mad at Instagram for deleting fake accounts so that many saw their follower counts drop significantly. 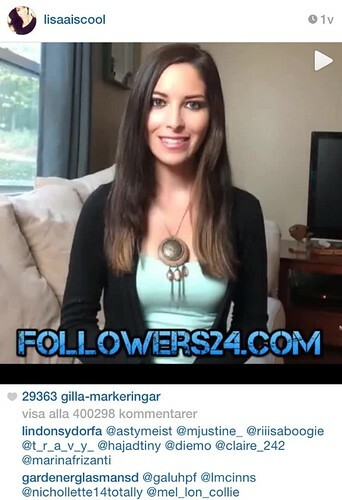 But the video above shows have Instagram continuously has to monitor against spammers and take measures to fight them. I am only amazed that a spammer has been able to tag so many people without being deleted. I would imagine that many people have already reported both the post and the account as spam. 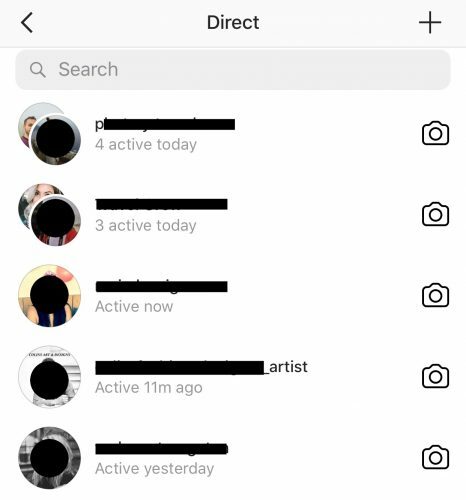 A while back, Instagram introduced a new feature where you would see an arrow and a drop down menu next to the follow button on some Instagram accounts. The menu shows other accounts that are similar to the one you are looking at. But not every account had this menu and it was unclear who got it. I speculated that only accounts with a certain number of followers got it, but now I think I have found the solution. If you log in to your Instagram account on a desktop and edit your profile you will find a box at the bottom of that page. If you tick the box that says “suggested accounts” then Instagram will add the arrow and the drop down menu to your account. This also means that your account will appear on other similar profiles as a suggested account. Please note that you need to have a public profile in order for this to work. I tried it myself and logged in to a second account to see if it worked. I already had the menu on my profile which looked like this. When I unticked the box the arrow disappeared. I then went back again and ticked the box and the arrow came back. UPDATE 2: Even if you follow the description above, it doesn’t mean that you automatically will get the arrow. Some do and some don’t and at the moment I have not been able to figure out why. UPDATE: There is a rumour that if you don’t have the arrow on your account it will be deleted on Jan 1, 2015. This is just a hoax, your account won’t be deleted and you don’t need to get it verified. 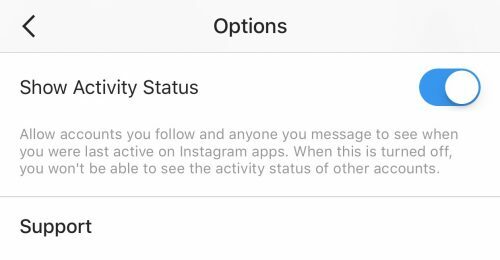 Instagram continues to bring out new updates to its app every week now and the change I blogged about a few days ago has already been removed again. I love Instagram and I check the app several times per day. In the latest update there has been a change to the design of the activity feed. The tab that used to be called “news” is now called “you” and for some time the notifications (likes, comments or follows) have been presented in a quite condensed feed. Images to the right had no white space between them. Before that, the images had rounded corners and also some white space between them. The latest look made it possible to squeeze in more notifications on the screen since each notification took up less space. But as of yesterday, the feed has a new look again and the white space between images is back. That means that each notification takes up more space and that is not good. If you are a user with lots of interactions, you get loads of notifications and you don’t want unnecessary scrolling if you can avoid it. The new look is wasting precious screen space. Here’s the difference between the previous design and the new one. Even on a smaller screen iPhone 4 to the left, you see more interactions than on the larger screen iPhone 5 to the left. I hope they will revert this change and go back to the previous look.